This layer adds support for Julia to Spacemacs. To use this configuration layer, add it to your ~/.spacemacs. You will need to add julia to the existing dotspacemacs-configuration-layers list in this file. Warning: enabling the LSP functionality within this package can cause emacs to hang for significant lengths of time when opening a Julia file. See tip below on using PackageCompiler.jl to mitigate this issue. Install LanguageServer.jl by invoking Pkg.add("LanguageServer") in the Julia REPL. Enable layer integration with lsp as described in section below. 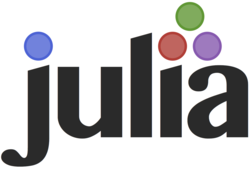 Warning: LanguageServer.jl has not yet been released for Julia 1.0. If you are using this layer with Julia 1.0, julia-mode-enable-lsp should be set to nil. SPC m h h Calls @doc macro on symbol under cursor. SPC m e m Expands macro under cursor. SPC m w Calls workspace() in Repl to give clean namespace. SPC e l Expands latex macro (e.g. \delta). SPC m s b Sends buffer to REPL. SPC m s l Sends line to REPL. SPC m s r Sends region to REPL. SPC m r Brings up Julia Repl (starts new one or focuses existing).